I suggest you do an article on the terminology you use.For example I noted that on your commentary on centamin Egypt you use the term waterfall pattern. You also you use the term panic cycle.An article on these words and their meaning would be helpful. 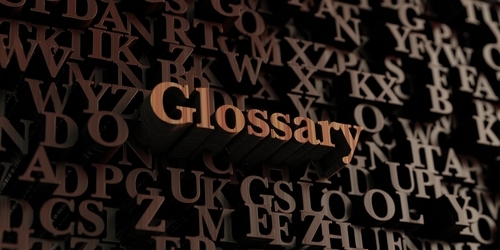 REPLY: We do have terminology is the Glossary on this site. 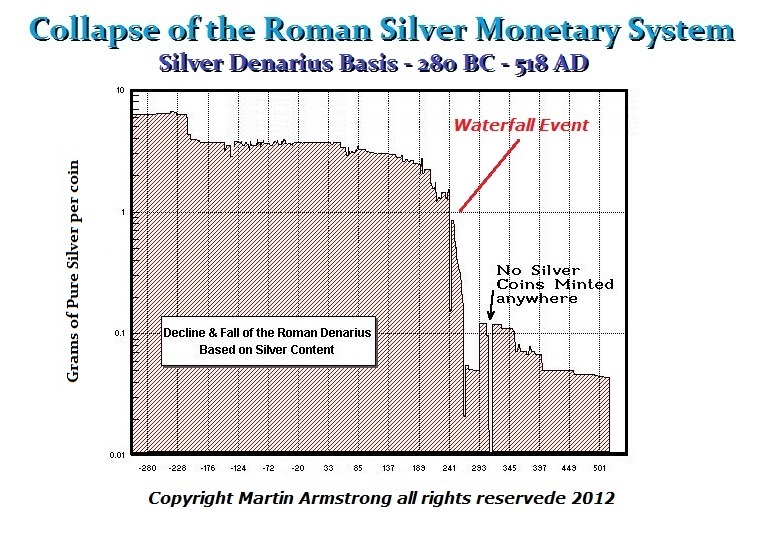 The Waterfall Event is a term I coined to describe what I discovered in the study of the rise and fall of empires, nations, and city-states. This differs from a Panic Cycle which reflects just a short-term increase in volatility, which can exceed the previous session high and penetrate the previous session low or make a big move in one direction. They do not imply the destruction of the system being observed or an individual market. 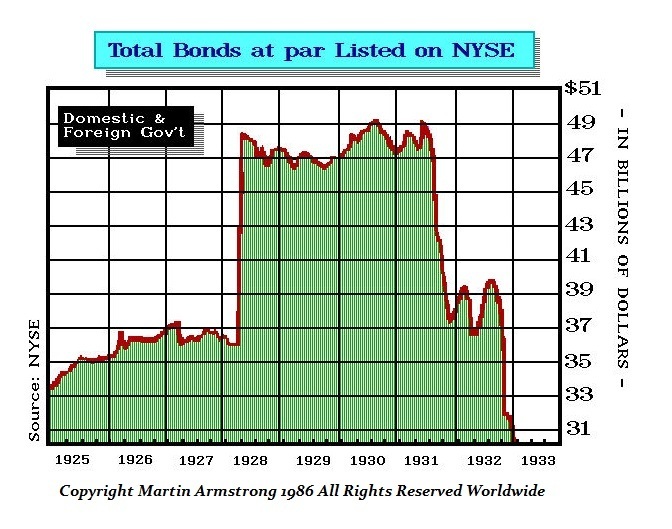 I have encountered the Waterfall Events such as the collapse of Venice to the 1931 Sovereign Debt Crisis where the foreign government bonds listed on the New York Stock Exchange simple defaulted and went to zero. Thus, the Waterfall is a sharp collapse that will unfold in a market with a decline of generally greater than 50%.